Find hotel near Apia Samoa Temple - The C .. If you are enjoying your holidays in the location of Apia, Samoa, then a visit to the Apia Samoa Temple can get you certainly a memorable experience. On 2 acres of area, this beautiful Jesus Christ of Latter-day Saints church stands tall. Blending classical and modern architectural qualities, this sacred structure got shaped up. Both the interiors and exterior of the temple will mesmerize you. 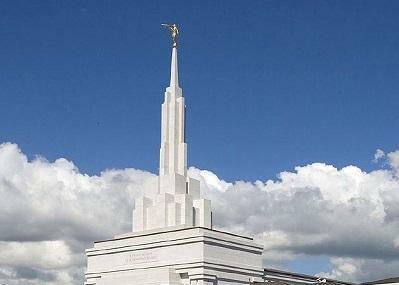 Though a fire broke in the Apia Samoa Temple in the year 2003 and destroyed the whole, but the authority renovated the very temple wonderfully within the year 2005. You and your family can come here to pray and worship in a peaceful way. lds is a disgrace. One of the sister called nipulusu slept with my cousins fiancé when she was serving in Australia. That the reason why she got send home early on her mission. She has destroyed our family happiness. My cousins father ended in the hospital because my cousin fiancé wanted to break the engagement because she found out what happened between Niupulusu and her fiancé. I feel disgusted over lds missionary and their moral. She should get discommunicate if lds wants to regain their reputation. This is a sin. A very friendly and welcoming people.